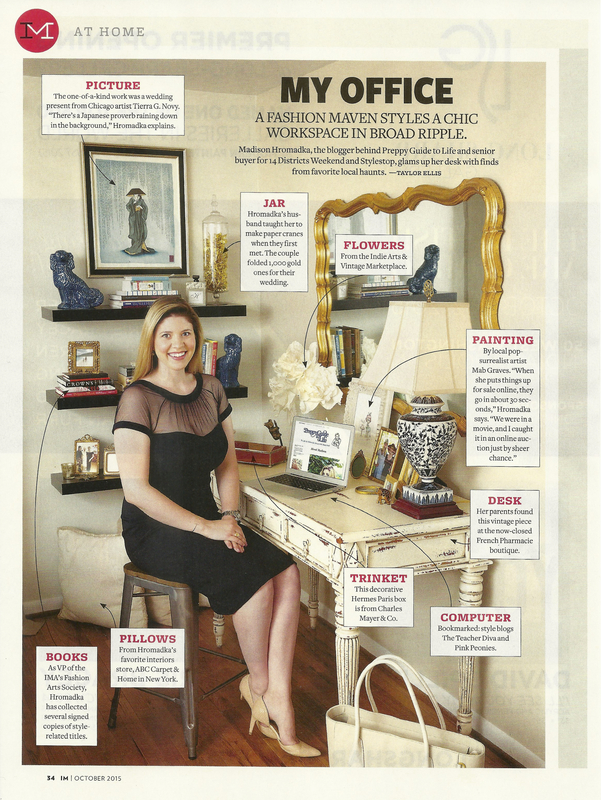 I am so honored and excited to be featured in the October 2015 issue of Indianapolis Monthly Magazine! Take a peak at my favorite space and some of my most prized goodies! A special thank you to Indy Monthly and Taylor Ellis for a great article! How fun! Love this, congrats! !